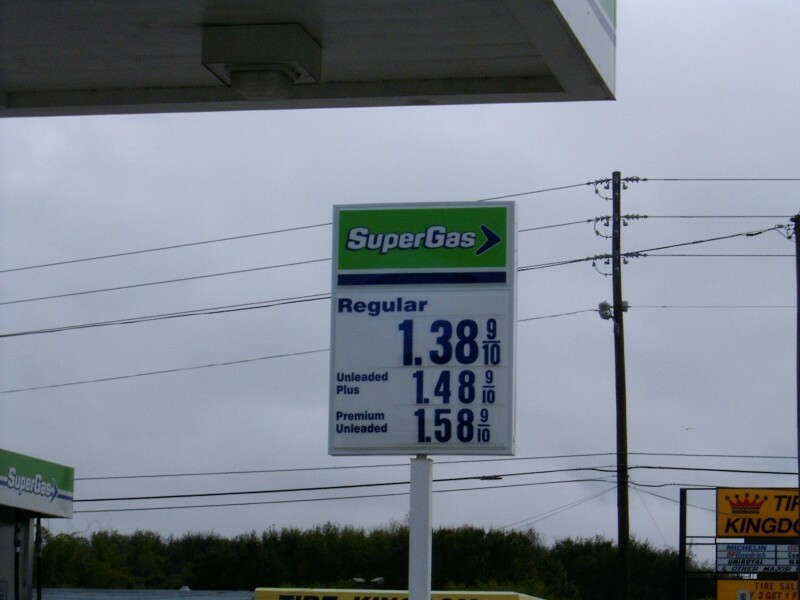 Super Gas sign at US 19 and Tampa Rd, Clearwater, Florida. 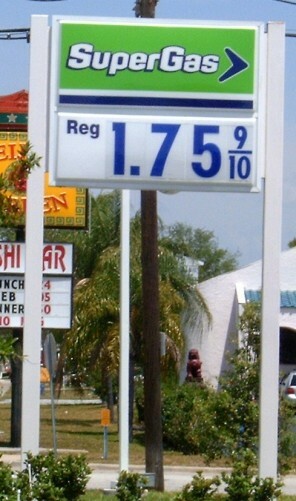 Taken Dec. 2003 by Robert Droz. 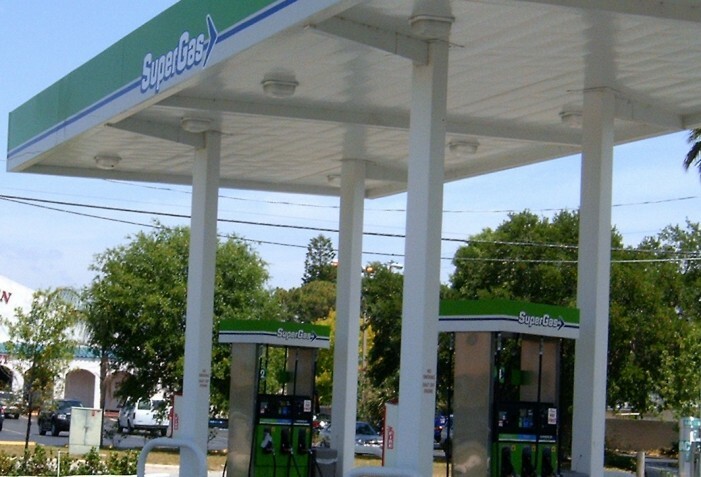 Two views of the Super Gas station in St. Petersburg, FL.